I started this post mid-morning, it’s now just about 5 pm est. and my day has taken this post in a completely different direction … on the same topic. I sat on the couch this morning contemplating my responsibilities of the day, I found myself simply unmotivated. I feel as though I’ve been running on empty and I’ve become quite numb. Our life here in Hutchland has become a non-stop, runrunrun, busybusybusy blur, lately. Family responsibilities replaced the runrunrun and busybusybusy of chemoradiation therapy’s schedule. So relaxation and quality time have not been freed up as yet, and quite frankly I am wearing thin and so is Hubs. Boundaries were set many years ago, and they have begun to feel violated. The thing is we we’re the violators, our families are only responding to our increased involvement, and in their view things are normal. You see, they are of the world, we are not. You know the scripture, right? Romans:12 And so, dear brothers, I plead with you to give your bodies to God. Let them be a living sacrifice, holy—the kind he can accept. When you think of what he has done for you, is this too much to ask? 2 Don’t copy the behavior and customs of this world, but be a new and different person with a fresh newness in all you do and think. Then you will learn from your own experience how his ways will really satisfy you.3 As God’s messenger I give each of you God’s warning: Be honest in your estimate of yourselves, measuring your value by how much faith God has given you. We’ve forgiven the transgressions of the past and we forgive the future. They don’t understand, they don’t understand us, really, and that’s ok; we’re here to show them who we are and by example the way we live. I sat last night (really, from early afternoon to the night) on alternating phone calls from my mother, grandmother and sister. 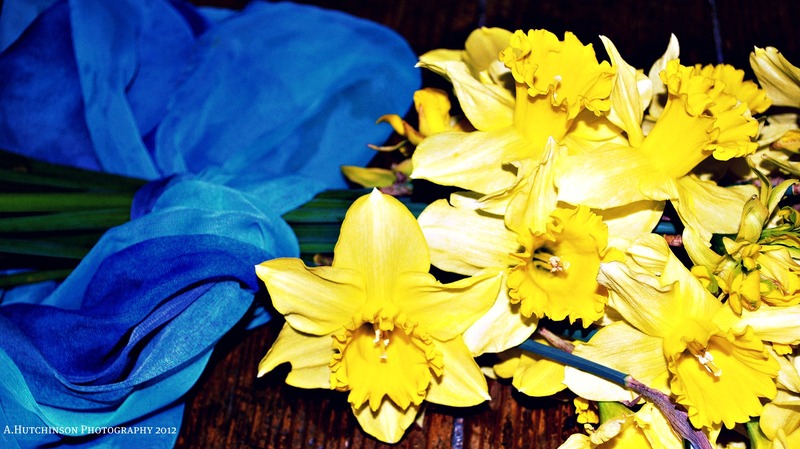 A family situation has upset my mother to action that has caused her illness to flare up. She has subsequently become angry with my aunt, cousins and sister (for a completely different reason, that was a bi-product of the original issue). Now my mother is relying upon me, 3,000 miles away, to be her support. And my sister, who lives in the same state as our mother; she just can’t possibly see past her own life to include the needs of her mentally challenged mother into her life, beyond her days off. It’s a rough situation that they are going to have to figure out, with a touch of encouragement from me, because I won’t allow this boundary to be violated. You see I was the one who lost her childhood to care for my ill mother and siblings for close to 40 years. It is only in the last year that my sister has been charged with helping our mother after our step-dad’s passing. I often feel guilt for the way I feel inside my head, and sometime my heart, towards the needs and demands of the extended family. I guess there are still resentments because thoughts pop into my thinking; unsavory thoughts that make me uncomfortable and convicted. Guess it’s Holy Spirit reminding me again that thoughts of resentment toward them are unacceptable in the forgiveness realm. Yet my flesh rises, wondering why I must be the one; my flesh doesn’t want to be the caretaker, anymore. Frankly my flesh, and sometimes my heart (emotions), long, desperately to be important enough to my extended family that they would step up and care for me. I mean, my husband is going through cancer treatments (and winning, thank God! ), my youngest is battling (and winning, thank God) addiction and my oldest is simply struggling to get his life and career in order. Life has not been easy on us of late, but then life is hardly easy on anyone, right … yet, still my flesh rises. God made me the caretaker of the family. It has taken A LOT of forgiveness on my part to be able to handle the issues without a need for control, and thank God, because without him and a good friend/sponsor I would not be capable of this, at all. I remind myself, regularly, that they don’t get it. They simply don’t understand my close relationship with God. So I continue to gently encourage them toward an understanding; forgiving the thoughtlessness, the accusations and the unforgiveness on their end. If I don’t continue to live within the bubble of my (our) relationship with God I can’t do this with them. Did I already say that? Yes, it is my mantra … without God I can’t _____________ fill in the blank. So when it comes to my family relationships, especially when I am feeling overwhelmed by their needs, I enter into God and remember this is how he built me. Whether I’m good with that or not, at the time. So the weekend looms with much to do, and many to care for, and I thank God again that he built me for this, sometimes thankless, job. And I forgive the transgressions of others and stand behind my boundaries, should they choose to transgress. It’s about staying in God’s will. It’s about obedience to what He has called me to do. And like forgiveness, my call is not about what the family needs, or does, or making them happy. It’s about me being who God intended me to be. At the end of my day I want to please God. Everyone else … not so much. Blessings and thanks for reading to my erratic posts. Categories: AHutchinsonWords, Forgiveness, Frustration, Guidelines for Living, Little Things, Living on Purpose, Living Thankful, My Journey, Resentment | Tags: Forgiveness, Holy Spirit, My Journey, Relationships | Permalink. Today was my birthday … It’s been a loooong week, with stress and heartache and me wondering why all this must be. I don’t question God when my tender heart’s wounds are opened and splayed wide by circumstances and by the people I love and then must forgive. I don’t blame God, I tend to blame the one’s I love, who don’t seem to love me back … I don’t know why … and that question will go unanswered, because it’s not that they don’t love … it’s that it isn’t the love I long for. 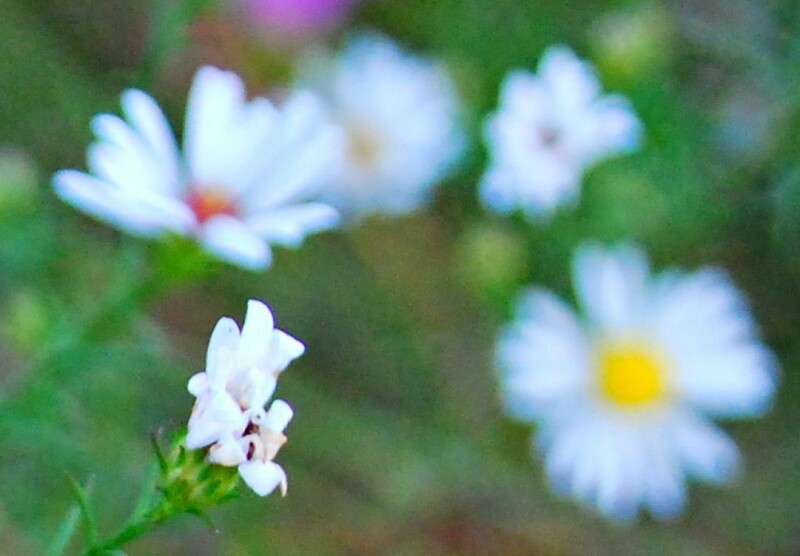 Selfish … maybe … it’s complicated and has left many a tender spot in need of healing. It always surprises me the depth of healing this heart of mine needs. 5 Guide me in your truth and teach me, for you are God my Savior, and my hope is in you all day long. 6 Remember, LORD, your tender mercy and love, for they are from of old. 7 Do not remember the sins of my youth and my rebellious ways; according to your love remember me, for you, LORD, are good. 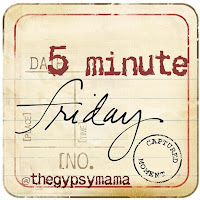 Categories: 5 Minute Friday, A. Hutchinson - Writer, A.Hutchinson Photography, My Journey | Tags: Love, Relationships | Permalink. My post for this Prompt is over on my other blog today! My husband and I recently attended a relationship seminar hosted by our church. There was incredible revelation and genuine sharing presented by the speakers there…tools, tips and truths about the what, how and why of the relationship dynamic. Now while we discussed communication the most, the assistant pastors at my church were incredible…yes I am biased, but you would agree if you had been there. In this post I share my thoughts and ideas on the Woman’s Role in a relationship as compared to the Adam‘s Rib…from which she/WE were formed. 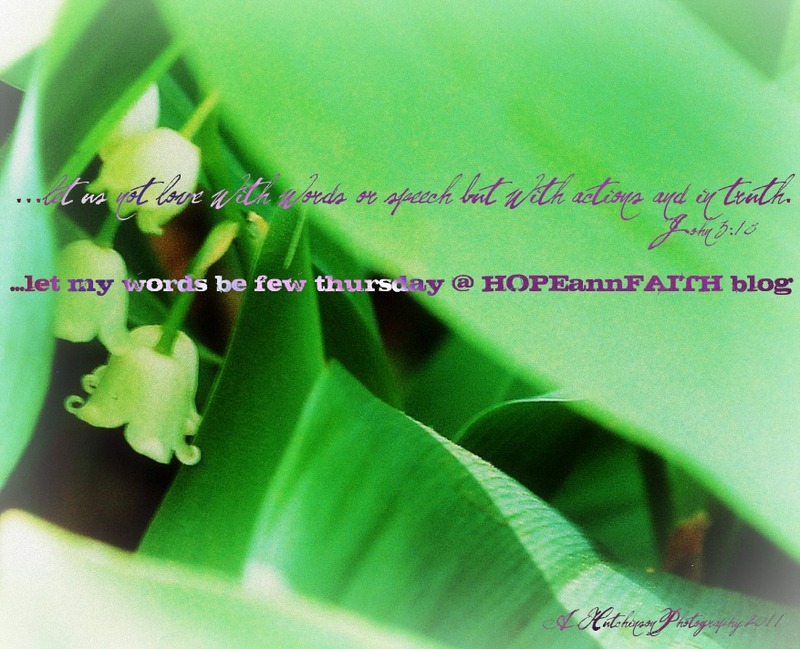 HOPEannFAITH’s ‘Few Word’ Partner(s)…join us too! 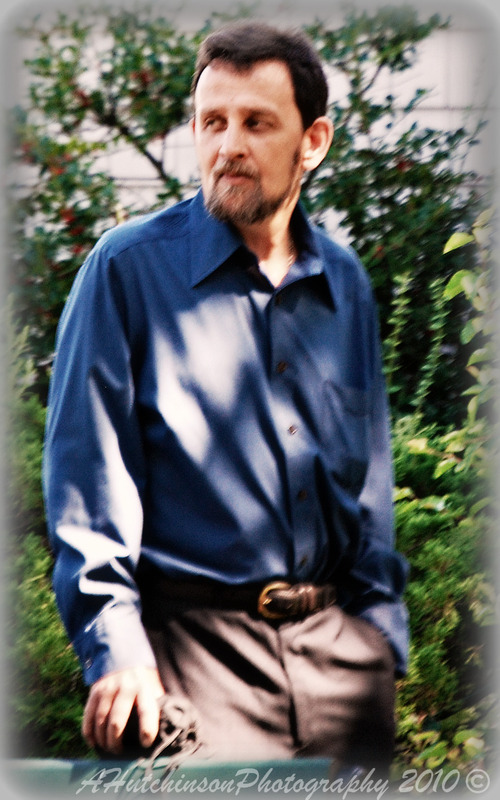 Categories: A. Hutchinson - Writer, AHutchinsonPhotographyDesign, AHutchinsonWords, Let My Words Be Few ~ Thursday, My Men! 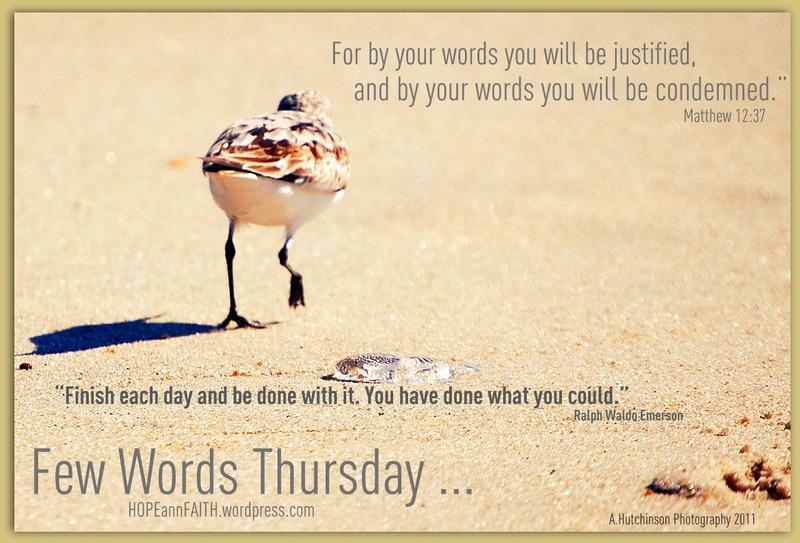 | Tags: "Few Words Thursdays", Christianity, Health, Jesus, My Journey, Relationships, What God says about things | Permalink. 3. Go leave some comment props for the five minuter who linked up before you. 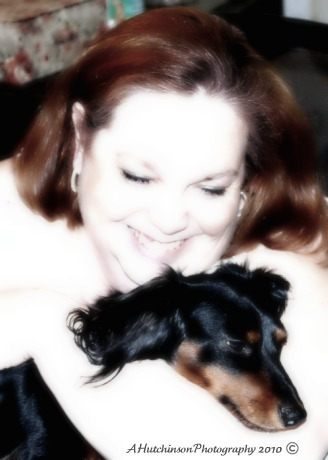 This weeks prompt: …if you met me. If you met me today, you would find a woman of great resolve. Life has been life, doing what it does to a person. And there is a great deal that life has changed in this woman. Recently there is white feathered through my hair and laugh lines etched about my green eyes and a deep furrow vertically between my eyebrows; my concentration path…my Thinking mark. Friendly and gregarious, you would find an unconfident hostess, who is not yet comfortable with visitors in the house. The three Dachshunds would be barking deafeningly, until you settled in and greeted them. I would offer you coffee or water…usually all I have in the house and we would talk about God…because every conversation in this person, in this home, inevitably ends with glorifying God in all we do. You would find HOPEannFaith; not only a psuedonym, but a way of life and an attitude of confidence in God…and you might find it a nice, comfortable place to visit. A place of peace to aspire to. Categories: A. Hutchinson - Writer, AHutchinsonPhotographyDesign, AHutchinsonWords, Dachschunds, My Journey, Photography, The Heart, Writing Prompts | Tags: Christianity, Holy Spirit, Jesus, Relationships, Religion & Spirituality | Permalink.